Recommended Avail photograph Services at Centre. 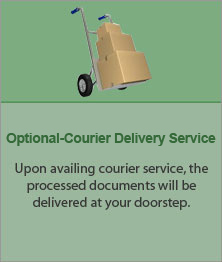 We do not process or render services for E-Visa, which is directly processed by Govt. of India, through their official website. Any company posing to be BLS or otherwise, promising to render service on E-Visa should not be entertained and reported to your respected CGI Office. All centers in Canada will remain closed on Monday, September 03. 2) Bio-metrics is compulsory for all Visa applicants. 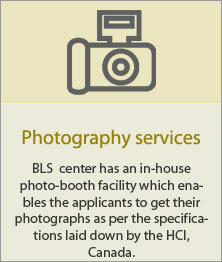 Applicants between the age of 12-70 must be present personally at the BLS Center to apply for the same. 3) 5-10 years visas will not be accepted by Post/Mail. Important Notification for Passport Re-Issue by Ministry of External Affairs, India. Please note that OCIs are printed in India and in some cases, depending on various reasons it may take more than normal time for the OCI to be ready. Therefore it is advised not to buy tickets in anticipation of receipt of OCI. 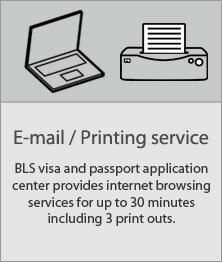 BLS International Canada Services Inc. is a trustworthy partner of the High Commission of India in Ottawa and the Consulate General(s) of India in Toronto and Vancouver (Canada) for managing the administrative and non-judgmental tasks of processing visa, passport, PIO, OCI and consular applications. Applicants are solely responsible for the application(s) they submit. Any false or misrepresentation of facts, incomplete or invalid supporting documents will have a direct bearing on the decision carried out by the High Commission/Consulates General of India. 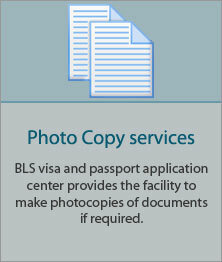 Applicants are required to submit their applications as per Consular jurisdiction. Station peel - green line.